Yesterday, Jeremy Hunt gave a statement on the Government’s response to the Freedom to Speak Up Review of NHS whistle-blowing by Sir Robert Francis. You can find the summary of the Review here. Whistleblowers have provided convincing evidence that they raised serious concerns which were not only rejected but were met with a response which focused on disciplinary action against them rather than any effective attempt to address the issue they raised. At the beginning of the Parliament, such things were reported to me. I was appalled and I am glad indeed corrective measures have been taken: the Review sets out 20 principles to be followed, together with specific related actions. Today we take another step towards building what I want to be the safest and most transparent health service in the world. The NHS is probably already one of the safer healthcare systems in the world but the tragedy of Mid Staffs and the bullying of staff revealed by Sir Robert Francis today show there is much work to do if we are to create a truly patient-centred culture which consistently embraces the highest standards. I was concerned that changes are still necessary if the NHS is to protect patients properly by adopting a transparent, no-blame, learning culture as is common in other sectors such as the nuclear, oil or airline industries. 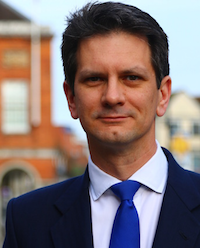 Steve Baker (Wycombe) (Con): As a former airworthiness engineer, may I strongly endorse my right hon. Friend’s direction of travel, and can he confirm that Buckinghamshire Healthcare NHS Trust, having exited special measures after the Keogh review, has enjoyed a fantastic transformation, which I believe he saw when he visited Wycombe hospital? Mr Hunt: I had a fantastic visit there. This was a hospital that, putting it bluntly, was one of the worst in the country, and it is now on its way to becoming one of the best. The motivation and excitement not just of the management team, but also the staff there, was palpable, and I think a huge amount of good things are happening. What has worked there is the sense that what we are asking of the hospital is the same thing that they want to deliver for their patients—safe, compassionate care—and that must remain the focus. 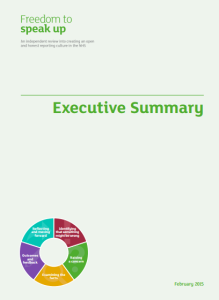 The NHS locally and nationally has been on a considerable journey over the past few years. Evidently much has improved: more remains to be done. 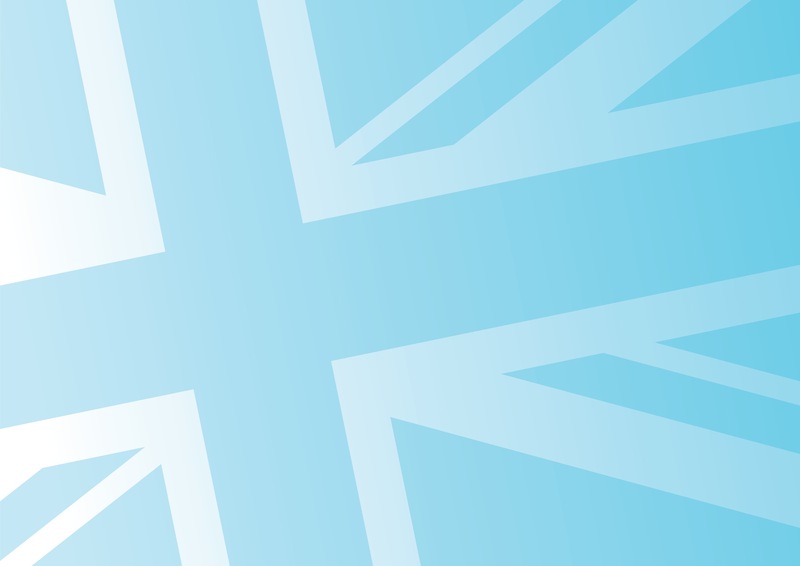 The Freedom to Speak Up website provides more information on the independent review into creating an open and honest reporting culture in the NHS. It repays close reading for those who want to understand what can go badly wrong in large organisations and how to set things right. Nice piece of work. Whistle blowers who are able to give constructive criticism on poor practice should be looked on as the drivers for improved services. Good managers should welcome this and not look to make life impossible for whistle blowers.